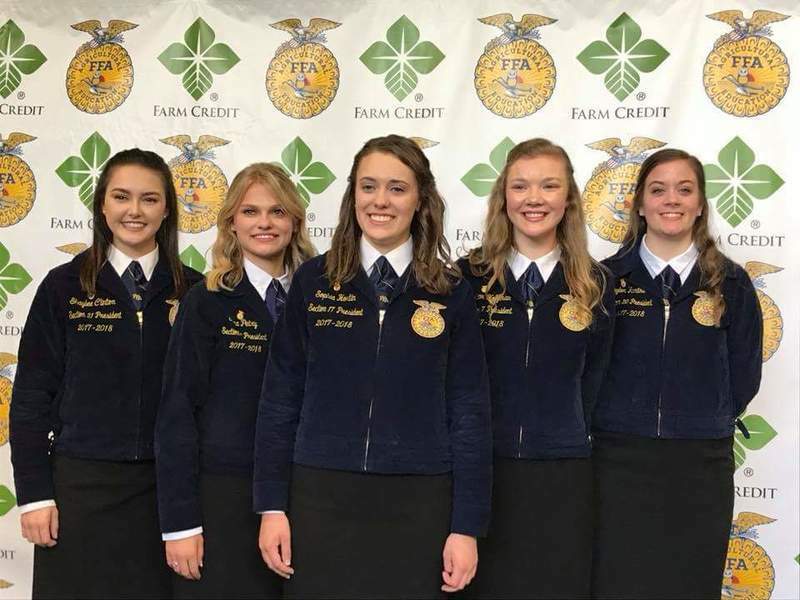 History has been made....For the first time, Illinois FFA members elected an all-female team of officers during the Illinois State FFA Convention in Springfield. The newly elected officers include:President: Sophia Hortin, 18, of Fisher (Champaign County). Daughter of Mark and Shanna Hortin and a 2018 graduate of Fisher High School. Vice president: Eliza Petry, 17, of Rochelle (Ogle County). Daughter of Erik and Ellen Petry and a 2018 graduate of Rochelle Township High School.Reporter: Shaylee Clinton, 19, of Ina (Jefferson County). Daughter of Wayne and Melinda Clinton and a 2017 graduate of Mount Vernon Township High School.Secretary: Miriam Hoffman, 18, of Earlville (LaSalle County). Daughter of Winifred and the late Kenneth Hoffman and a 2018 graduate of Earlville High School.Treasurer: Taylor Hartke, 19, of Teutopolis (Effingham County). Daughter of David and Korrie Hartke and a 2017 graduate of Teutopolis High School. Taylor Hartke is the first state officer from Teutopolis.